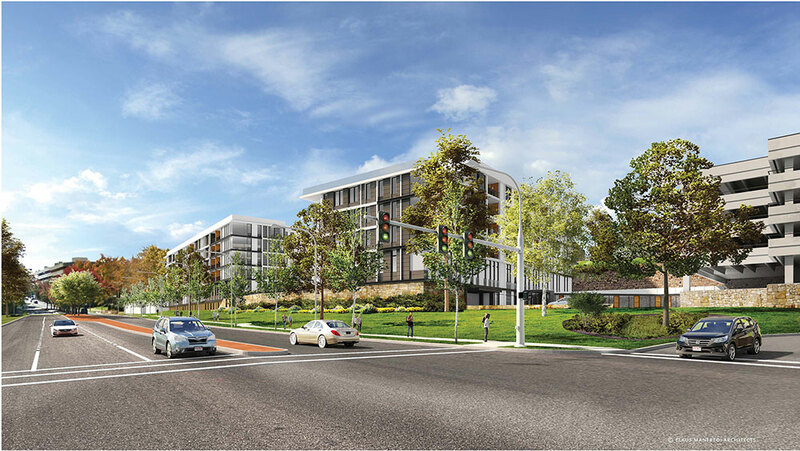 The Westchester County Industrial Development Agency (IDA) has announced three mixed-use developments that are expected to create more that 3,000 construction jobs and approximately 1,800 residential units. All together, the properties represent $1.2 billion in private investments and are poised to invigorate the downtown White Plains area. WP Mall Realty was granted preliminary approvals for $17.5 million in tax exemptions to facilitate the construction of Hamilton Green, a mixed-use development that will replace the White Plains Mall. Valued at $585.2 million, Hamilton Green is one of the first approved projects within the newly founded transit district zone surrounding the White Plains rail station. This zone is designed to encourage construction that will help create mixed-use destinations in proximity to the station. The development will consist of four residential buildings comprising 860 apartments, including approximately 90 affordable units. Additional components include 85,400 square feet of retail and dining area, approximately 27,000 square feet of co-working space, a 956-vehicle parking garage, and a 67,000-square-foot elevated public park. 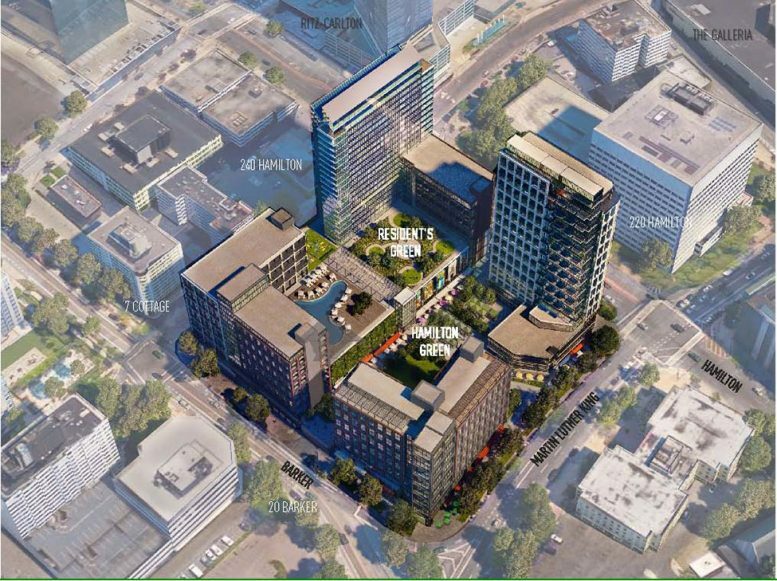 The IDA also preliminarily approved a $12.1 million tax exemption package to Lennar Multi Family Company, which has pledged to build a two-phase mixed-use development in downtown White Plains. 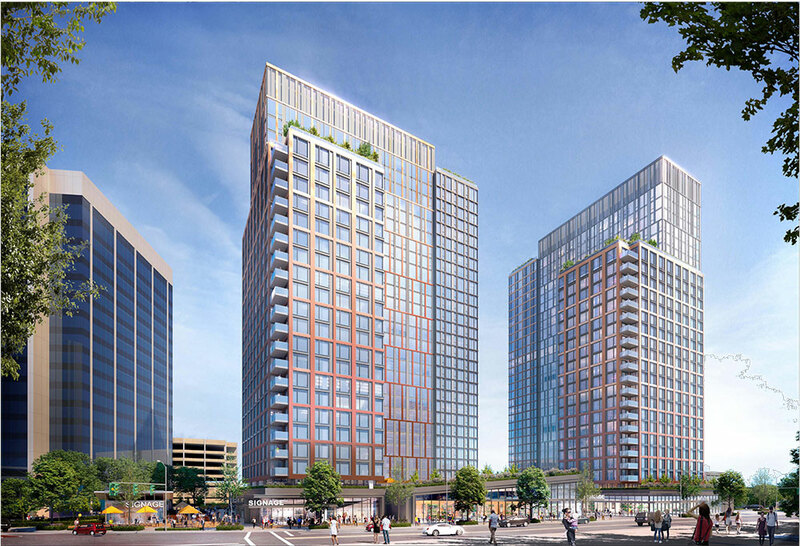 Located at 60 South Broadway, it will replace the former Westchester Pavilion with two high-rise towers containing 814 apartments, including about 50 affordable units. The ground level will contain over 28,000 square feet of retail and dining area, in addition to 932 parking spaces. Construction of the first phase is expected to begin June 2020, with occupancy expected by September 2022. The second phase will kick off in June 2022, with occupancy anticipated by September 2024. The third and final project will be executed by National Development, one of Boston’s largest real estate companies. The IDA has also approved $3.22 million in preliminary tax incentives for this development. Known as Waterstone, the new building will be a five-story, 132-unit property at 120 Bloomingdale Road. The $115 million proposal will be marketed to senior citizens and will include on-site social services. The developer will also construct a 13,000-square-foot park. 1 Comment on "Westchester IDA Announces $1.2 Billion Development in Downtown White Plains"
Kool..i need a apt too.. 2 bedrooms..
Im a retired law enforcement officer and disabled.. Help IDA.. God bless..